On some level that statement is true. Perhaps it would be more accurate to say that anyone can paint, which is a point that’s hard to argue. The famous Leonardo DaVinci may have put up a fierce argument, but after all, he was an extremely talented artist in his field. So what’s the difference between DaVinci and every other painter? If anyone can paint, what separates the DaVincis’ from say, the graffiti artists? Is it Vision, Imagination, Dedication, Motivation, Respect, Pride, Experience, or possibly just Genetics? Well, the truth is, with any talent it’s the culmination of all those qualities. 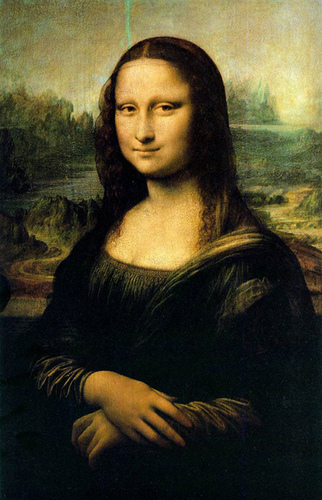 So, yes, anyone can paint…but not like DaVinci! At Brush Masters, we won’t pretend to have the talent on our staff to create another Mona Lisa, but we do look at painting as an art! We know the builder can find another paint contractor, and the homeowner can paint it themselves, but in the end, it may look more like graffiti when you could have had a DaVinci. There is a difference, and we pride ourselves on knowing how to create that unique experience for every customer. On a daily basis, Brush Masters carefully positions each employee on every job for the required talent that particular job demands. We aspire to give each unique customer the services they need to make their business, or project, a success. Each employee at Brush Masters possesses specific talents which we do our best to match with the customer’s expectations. That’s just one way we try to separate ourselves from the other paint contractors in the marketplace. Every project is a work of art and we do our best o live up to the masters. All of our uniforms have our logo on the back. On the front, where their name would appear, it says DaVinci! Ok, that’s not true, but it could be, because our professional painters are artists in every sense of the word. When we find that another paint contractor has been retained because they were less expensive, we understand, but we always know the value of our many services will almost certainly be absent, and the customer missed a chance to experience the “DaVinci” of paint contractors. I think I want my shirt to say Pablo Picasso, now that I think of it. Who do you think was a better painter, DaVinci or Picasso?